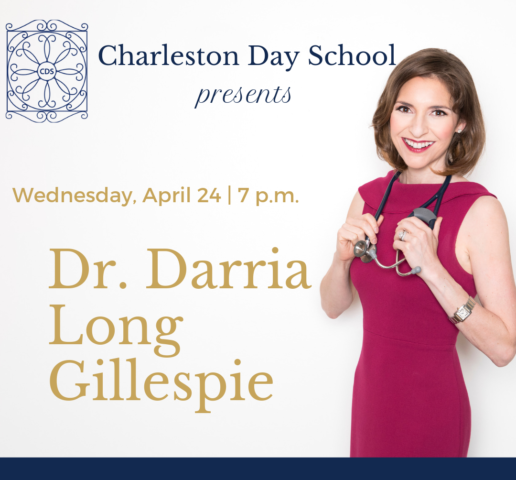 On April 24, Charleston Day School will host a free presentation for parents by Dr. Darria Long Gillespie, author of Mom Hacks: 100+ Science-Backed Shortcuts to Reclaim Your Body, Raise Awesome Kids, and Be Unstoppable. Because space is limited, registration is required. Dr. Darria Long Gillespie is a Yale- and Harvard-trained emergency physician and a regular TV expert on HLN, CNN, The Dr. Oz Show, The Doctors, and Fox News. A mom of two herself, Dr. Darria is quickly becoming the national ‘go-to’ doctor for women and parenting health — Dr. Oz refers to her as the “make-life-better-for-women doctor”. 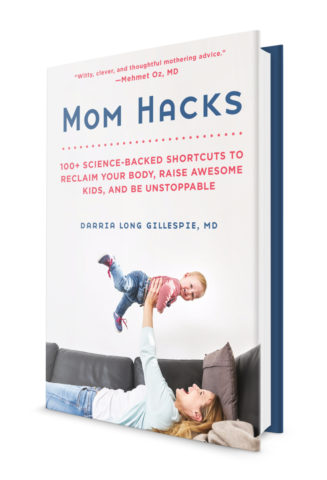 The point of “hacks” is that they are the smallest incremental and most scientific shortcuts to make good wellbeing (and sanity) doable, and to help moms everywhere get back their “I’ve got this”. Register to attend this free parent presentation.